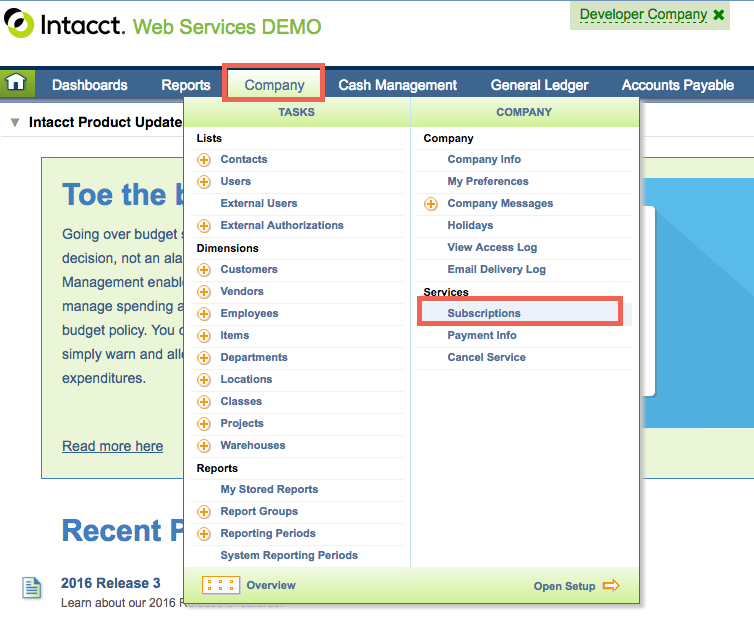 Everyone's Intacct configuration is slightly different, so the screenshots in this help article might not align exactly with what you see in your Intacct account. That being said, we will work with you to get the integration set up properly, but we appreciate your patience if it takes a bit of exploration! 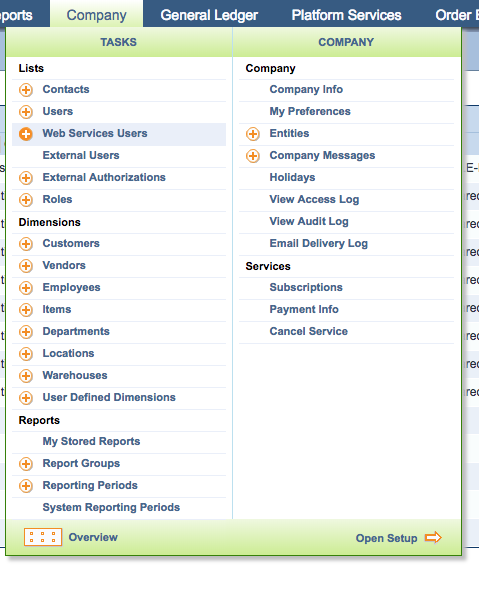 You must enable the Web Services subscription using Company > Subscriptions (or Company > Admin > Subscriptions) in Intacct. 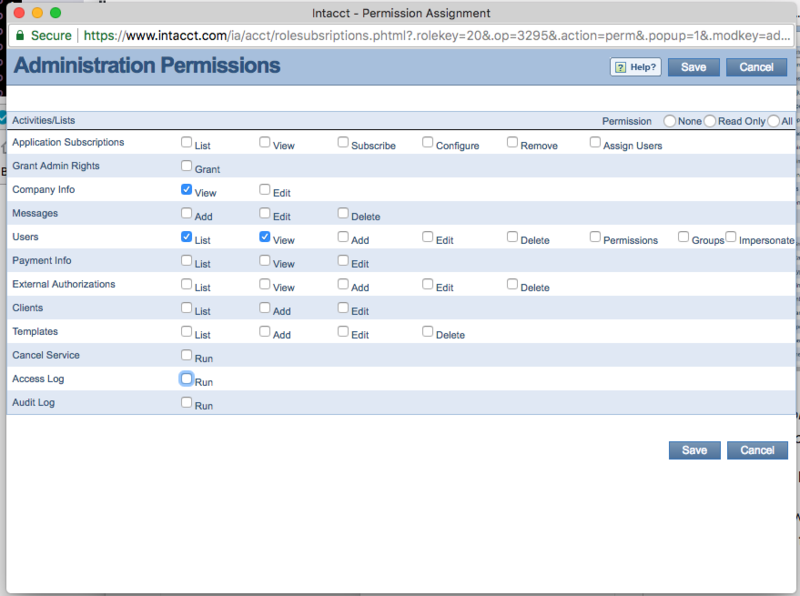 The integration requires creating a new user in Intacct. 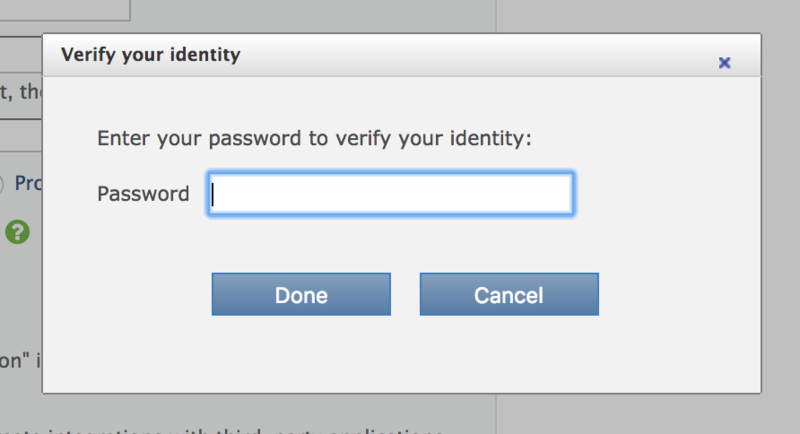 This user's sole purpose is to authenticate the integration during the initial integration set up. 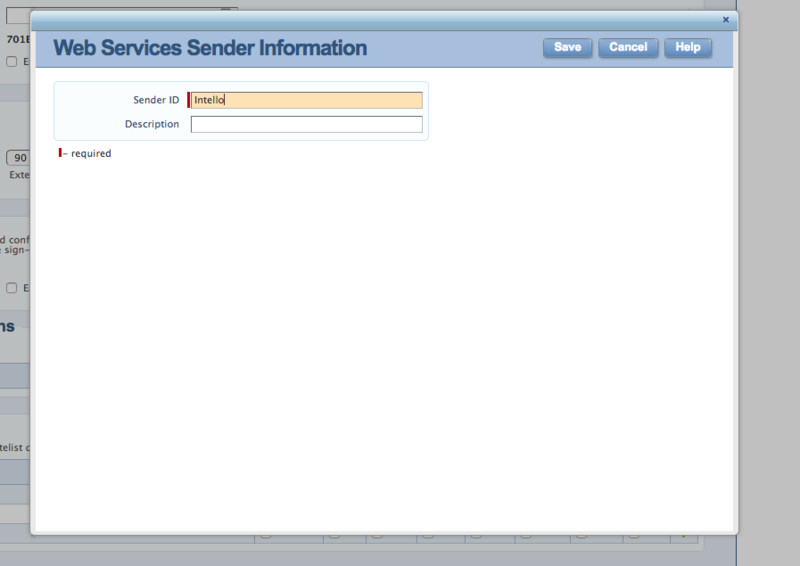 You can prefix the user ID name with "XML_Gateway" to indicate that this is a web services user only. 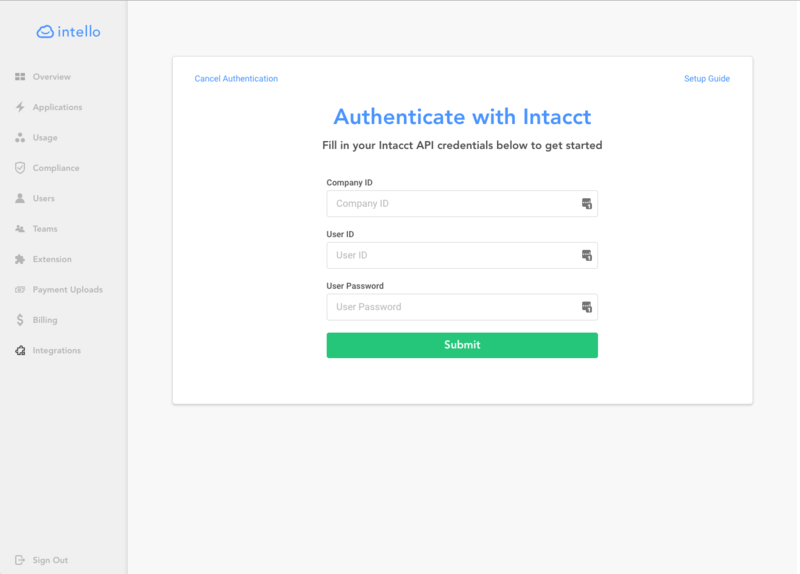 This will also allow you to avoid paying for an additional user license in Intacct. 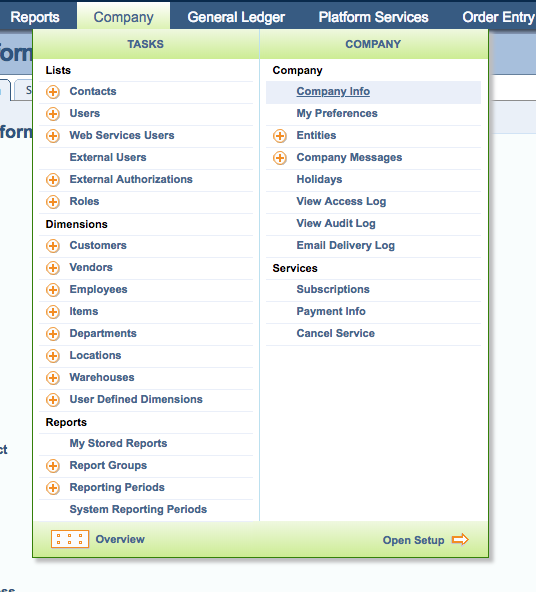 If you have more than one entity set up in your Intacct, you will need to specify the User/Role to that entity. You need to enable Intello to send api requests to your Intacct account. After, make sure you click Save a second time on the company info page in the right hand corner. 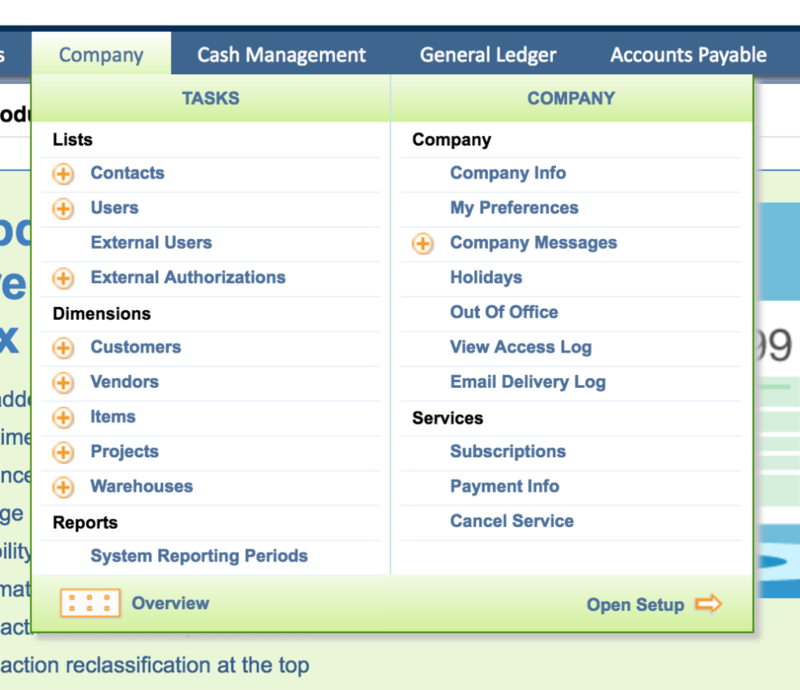 Intacct has two permissions settings: user-based permissions and role-based permissions. Depending on which one applies to you, follow the instructions below. This is the user that will authorize the connection between Intello and Intacct. User ID: This should be "XML_Gateway_Intello" to identify the user role that will facilitate the integration (this needs to be unique!). First and Last Name: This can be "Intello" and "Intello" - again, we're just creating this role specifically for the purposes of the integration, and this information must be unique to this user. 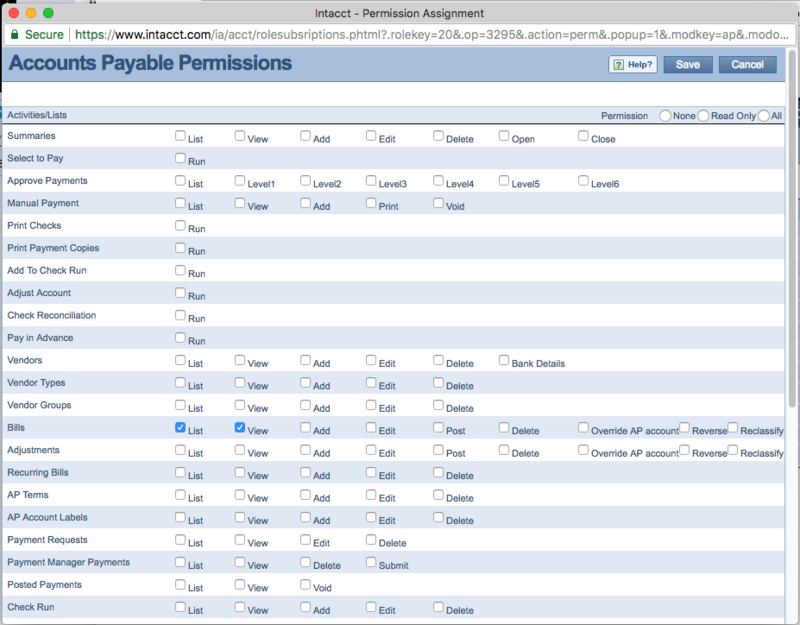 Click the Permissions link for Accounts Payable. 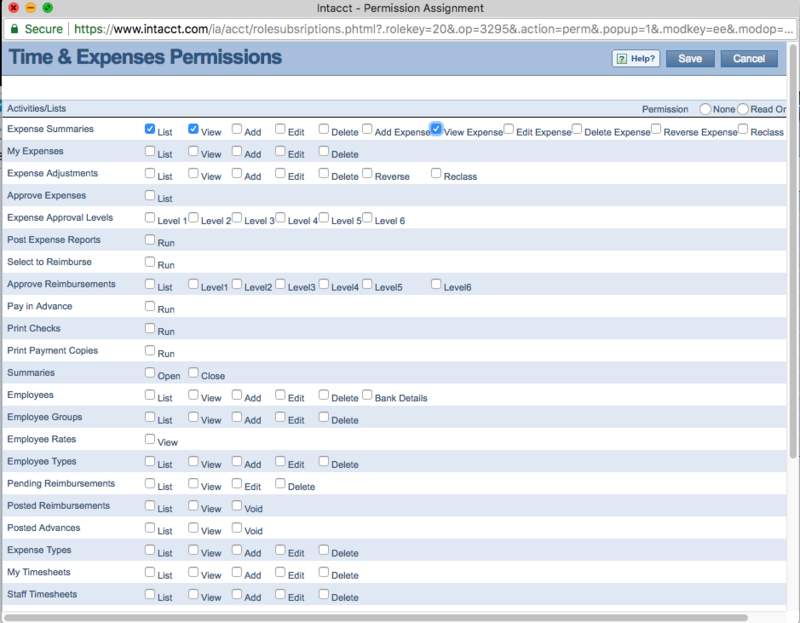 Click the Permissions link for Time Expenses. A new window load. 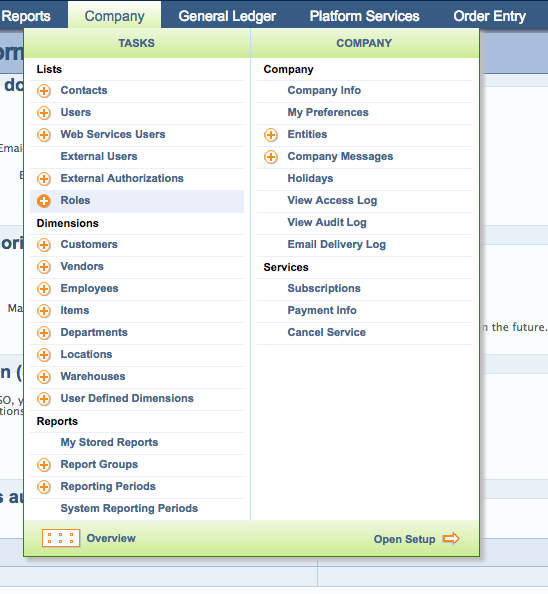 Make sure to check, List, View, and View Expense for Expense Summaries. 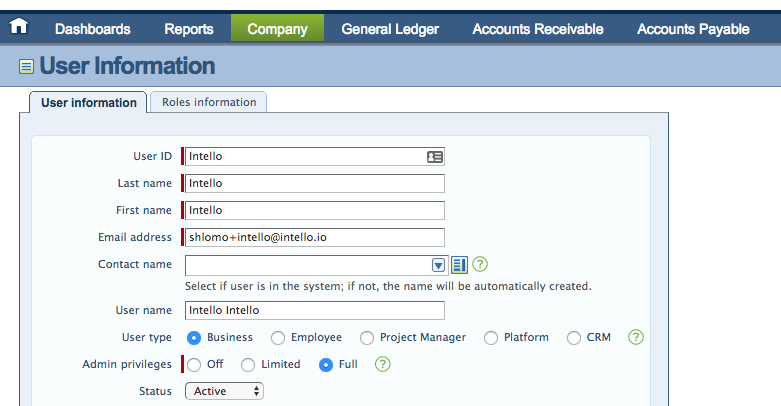 Optionally: you can also add read user permissions to your Intello <> Intacct integration. 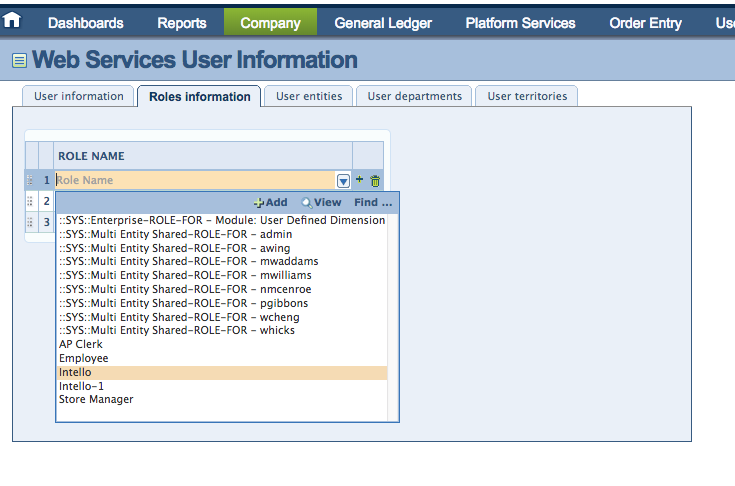 This will allow you to see usage inside Intello. A new window load. Make sure to check, List and View for Users. And View for Company Info. After you enter the credentials hit Submit. It can take up to 24 hours for your SaaS spend to sync. We will send you an email when your data is live in the dashboard. In the Name field, add a name for the role (this can be Intello). You can't change this name after you save the role. Optionally, enter a description for the role.